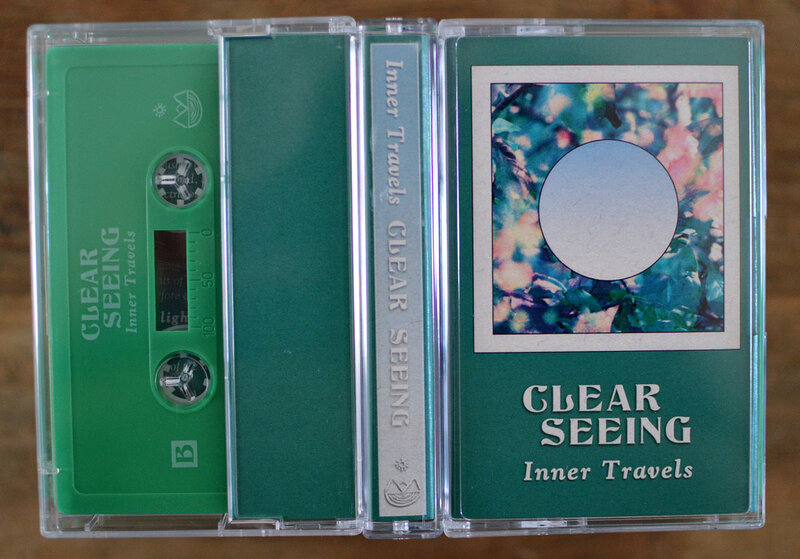 Is it weird that Inner Travels hasn’t recorded for Inner Islands yet? I mean, these two are perfect for each other. Look at those names, for goodness’ sake! 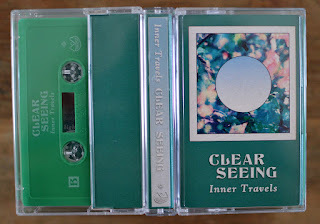 S. Targo, the Inner Travels guru, is as good an ambassador as any for the current crop of New Age visionaries, and you all know Sean Conrad at Inner Islands because of this excellent interview. They’re peas in a pod, and you can begin sentences with, “Inners Travels and Islands…” – look at the linguistic possibilities! Look also at the possibility of confusion – I’m not gonna lie, I’ve already caught myself mixing up the two names in this very paragraph. Fortunately, because of my superior editing skills, I’ve got everything as it should be. So let’s talk turkey, and by “turkey” I mean vibrant vistas of glittering synthesizers, where sparkling glissandos mimic through sound the “Radiant Sunrise” or ripple like refracted light through liquid “Luminescence.” That’s the Inner Travels way, and indeed Clear Seeing is Targo’s attempt to base his compositions on actual images. Obviously, he succeeds, as these meditative passages all “clearly” replicate their titular subjects. You can focus on any of them and be immediately transported through your mind to their magical locales. Targo accomplishes his loving renditions of both actual and theoretical visions, both in the tangible world and through the “mind’s eye.” These visions are useful for personal reflection, hence the “inner” everyone is talking about with the travels and the islands and the whatnot. You can get lost in this stuff if you’re not careful. And that’s OK – you’re only going to find inner peace anyway. Hey, another “inner”!